Boston is always a great place to be in the Fall. The energy goes up tempo around the city as many return from their summer vacations. Universities and businesses start to kick it into higher gear and businesses are buzzing with more customers. Restaurants start to change some of their specialties and offerings on the menu to match the local fall bounty. Bright colored leaves and the cool air breeze set the mood to pivot to different fall Boston traditions. In case you are wondering, here are some great suggestions on the best fall-time activities to enjoy while in Boston. Boston fall is the perfect time to visit local farms for some apple picking expedition. There are countless orchards around town, and each offers different varieties to try. Some give free hayrides around the fruit farm and pumpkin patch for your family to enjoy. Added compliments of the day are street festivals filled with exciting music and good vibe. Close the day with apple centric dishes such as the famous Boston apple cider donuts, apple cobbler, apple crisp, without forgetting the hot spiced cider that chases away hayride chills. As we trade the long summer days for short cool autumn nights, we begin to see the colorful changes of Boston leaves. What better way to enjoy the October days than to soak ourselves in the beautiful flora of the bubbly Boston Common and the changing ambiance of the Boston Public Garden! It might be the perfect time for a lovers’ picnic. As you do so, go pick out the perfect pumpkin patch for the Halloween season. Enjoy the scenery as you exercise on New England’s beautiful trails with your family. You can also enjoy Boston’s foliage while cruising. There are plenty of cruises docked on the North Shore, Boston Harbor, and the Cape. When fall hits, it’s time for fairs in the small towns surrounding Boston. Some of the major towns you won’t miss a circus parade or the Ferris wheel are Hopkinton, Deerfield, and Topsfield. These fairs especially the iconic Topsfield follow a strict New England fair tradition. They feature plenty of farm animals, carnival games run by creepy yet joyful carnies, gigantic vegetables, pig races, magic shows, and colorful fair treats. 4. Enjoy the local brewery tours and festivals. There is no shortage of fun for brew lovers in Boston during the fall. Dominant local beer brands such as Sam Adams and Harpoon are a frequent sight in brewery tours and often offer to host many fall events in light of the annual release of the top selling autumn-flavored drink. Sam Adams usually invites folks to their Bostoberfest for live music, interactive games while partaking the day’s beer drinking ritual. As for Harpoon, it would be a shame to miss their annual Octoberfest in South End, Boston. 5. Time to enjoy some local Football! Bostonians are football lovers. The hometown heroes, the New Englands Patriots, usually throw a local showdown every fall. These football matches gather thousands of fans into the Gillette Stadium for what is always a memorable match. As one of the greatest football teams in the NFL, don’t be shocked to see the huge masses turn up. The more, the merrier! Each end of the game leaves you feeling like one of New England’s Patriot fans. As true patriot fans, we know to never count them out of a game or season because they always seem to comeback more times than they don’t! 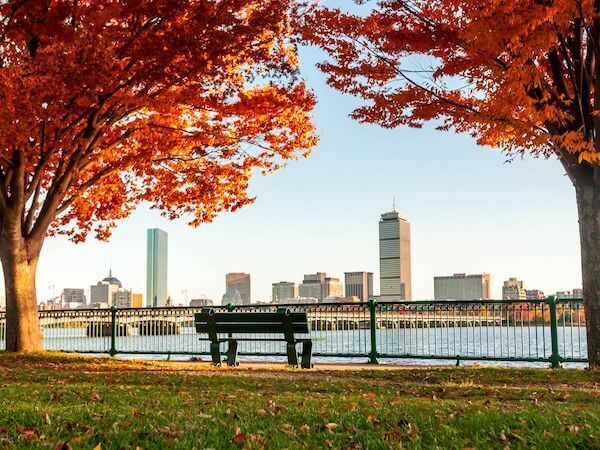 Instead of waiting in dismay for the winter season to start, why not try enjoying some of the autumn gifts while in Boston! The above activities are sure to fill your Boston itinerary with fun packed adventures. Be sure to create some wild memories while at it.